A company constitution is usually drafted in a standard format and does not provide protection for shareholders in the event of a dispute between them or where issues arise not covered by the constitution. A shareholders agreement, which properly outlines the steps to be taken in the event of disputes and certain circumstances arising, can be an effective tool for avoiding the cost of litigation. A shareholders agreement sets out up front how disputes and deadlocks are to be resolved and allows shareholders to resolve issues which arise – quickly and with finality. A shareholders agreement is a private contract made between all the shareholders of a company, setting out the rights, obligations and liabilities of each shareholder. Such agreements do not have to comply with any set form or procedure. However, they must be drafted so as to ensure that the agreement is valid and enforceable. A shareholders agreement needs the consent of all shareholders and, unless otherwise specified, all the existing shareholders must consent to any changes or alterations. All proprietary companies must provide a constitution upon incorporation and it might be assumed that a company constitution is sufficient to address the rights and obligations of shareholders. However, a company constitution is usually limited in scope and is focused on setting out the company’s objectives, activities and internal administrative matters. A standard company constitution will not protect a shareholder’s interests in the event of a dispute between the parties or where issues arise that are not covered by the constitution. In contrast, a shareholders agreement can be an extremely useful legal document for managing any issues affecting shareholders, not covered by the constitution, which might arise in the future. It is not compulsory to have a shareholders agreement but it is highly recommended for all companies, particularly smaller, privately held companies where there might be a close relationship between the owners (shareholders) and management. When a company is created and there is goodwill between the shareholders, a shareholders agreement might not seem necessary. However, it is easier to negotiate a shareholder agreement at the start of a business venture when issues can be discussed amicably, rather than when parties are frustrated by disagreements down the track. For a shareholder agreement to be useful it needs to be customised to meet the specific requirements of the company and its shareholders. Listed below are some common provisions which most shareholders agreements should contain. in the event of any inconsistency between the shareholder agreement and the constitution, you would want the shareholder agreement to prevail. to avoid the cost and uncertainty of litigation, it is advisable that parties be required to try and resolve their disputes through alternative dispute resolution, before any formal litigation can be commenced. A shotgun clause, which works by allowing a shareholder to break the deadlock by purchasing the shares of the other shareholder at a nominated price. A liquidation clause, which provides that the company is to be voluntarily wound up if the deadlock continues for a set period of time. which imposes restrictions on the transfer of shares. A provision can require exiting shareholders to offer their shareholding to existing shareholders first, before the shares are offered to outside parties. are provisions which are aimed at balancing the rights of a majority shareholder and a minority shareholder. Under a drag along option, majority shareholders can require a minority shareholder to join in the sale of shares in the company. Under the tag along option, where a majority shareholder is selling shares in the company, the minority shareholder has the right to join the transaction and sell their minority stake. a provision which sets out triggers for the mandatory sale of shares in certain circumstances (for example, a director passes away, resigns or files for personal bankruptcy). it is prudent to set out the method by which shares are to be valued in relation to pre-emptive rights and mandatory sale events. For example, shareholder agreements often provide for the appointment of an external valuer with set criteria for valuation. 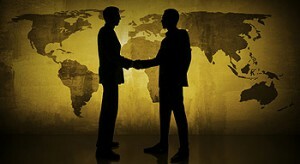 A shareholder agreement is best prepared when a company is first incorporated, when there is goodwill between the parties and there have not been any disputes or disagreements about the management of the business. It is a useful document, setting out the rights, obligations and liabilities of the shareholders and how risks and disputes are to be managed in the future. A shareholder agreement should be professionally prepared as it needs to be tailored to the particular needs of the shareholders and company but should contain some of the key provisions set out above. If you or someone you know wants more information or needs help or advice, please contact us on (03) 9592 3356 or email office@citypacific.com.au.